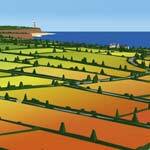 Sample happy art conquistadors Lemon Jelly Release Lost Horizons, This is the duo's first 'real' album although they did make a debut with the wonderfully beautiful KY this was composed with songs from three extremely popular ep's. As always with Lemon Jelly the artwork is flawless, the first single to be taken from Lost Horizons was Space Walk, the song is based on the Apollo Moon Landings and in my opinion is one of the outstanding tracks. 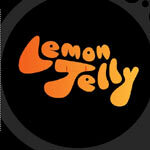 Lemon Jelly are the kind of band you struggle to categorize because they sound unlike anything else around. Sometimes the ambience created is Similar to that of French art rockers Air with a touch of lounge thrown in and occasionally edging on the mood you could find on any chilled compilation album but without the heavy Balearic dance beats. Lost Horizons features many vocal samples and these are all utilized intelligently as in Space Walk. Most of the samples are intriguing gems that someone has trawled through a million second hand records to find it is not often that you hear a vocal sample or someone singing, this is yet another trade mark and something wonderfully different. Track 3 "Ramblin' man" features a string section that creates a powerful orchestral sound similar to one of Massive Attack's classics. Lost Horizons is the ideal music to play in your car it works really well as background music, one thing is for sure if people did play Lemon Jelly in the car is would be a definite road rage deterrent!